360 video is the wave of now and future. It has been applied to many areas, for example, world's 1st NHS cancer operation is live streamed in 360-degree virtual reality; Michelle Obama has made a 360 degree video interview recently; Intel buys a 360-degree sports video replay specialist for the slam-dunk competition at this year's NBA All-Star games; YouTube creates a brand-new 360 video subscribtion and Facebook allows 360 degree video like and share. Having said all of 360 video application, it's high time to take a close look at this hottest buzz word in the tech world: what's 360 video? How to play 3D 360 degree videos? And any awesome 360 video players recommended? Keep rolling for further details. 360 degree videos is known as immersive videos or spherical videos. They are videos recorded typically in every direction by a special rig of multiple cameras or a dedicated omnidirectionaly camera that contains many camera lenses therein. 360-degree video is formatted in an equirectangular protection typically. The cameras supporting creating 360-degree videos include GoPro's Omni, Vuze Camera, Kandao Obsidian, Samsung Gear 360, etc. Users can play 360 degree videos with 360º video player, they can have a control of viewing direction by dragging the video around. It's a form of virtual reality. After recording or downloading 360 degree videos, you may find difficulty in picking a reliably 360 vr player or xbox 360 media player for 360 video playback because there only a few video players supports 360 video playing on the market. Now that 360 degree video players are badly in demand for 360 degree videos playback. Here we list top 5 360º video players, giving you a new way to enjoy yourself. When mentioning a 360 video player, 5KPlayer absolutely takes 360 video playback as its obligation. It is a 100% free 360º video player, specially designed for Mac and Windows users to play 360 degree virtual reality videos, 4K UHD 3840x2160, HD 1080p/720p, 3D Blu Ray videos as well as SD MP4, MOV, AVI, FLV, MKV etc videos. It also features download & airplay knacks. That is to say, you are free to get YouTube 360 degree video download with 5KPlayer. If you don't know how to play 360 videos on your computer, this video player for 360 videos will be a good choice. 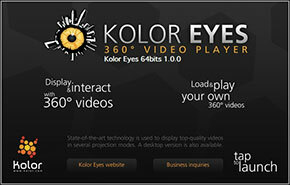 Kolor Eyes is a free 360° video player for Windows, Mac, HTML5, iOS and Android. It allows you to play and interact with your 360° videos on your computer and on your Oculus Rift. The desktop application of this 360 vr player lets you play 360-degree videos on your Mac or PC, watching videos up to 8K and enjoy the finest resolution at 360 degrees. What's more, turn at 360 degrees, zoom in and out, change the projection and apply visual effects all can be done with Kolor Eyes. VR Player is an experimental Virtual Reality 360 media player for Head-Mounted Display devices like the Oculus Rift. It features playing 360 degree videos, reading 2D/3D images and videos, local files, streams (including YouTube), disc, and more! 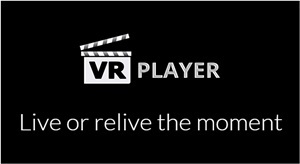 For the moment, VR Player is a rare 360 video player keeping the trend of videos. 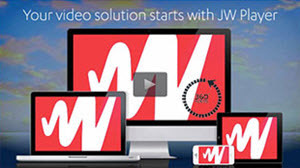 JW Player is one of the most popular embeddable 360 vr players for websites. It supports a wide array of platforms, browsers, and media formats, including 4K 360 degree videos, 3D 360 VR, 1080P/720P, and standard definition videos in MP4, MOV, AVI, FLV etc. It is open-source software which is easy to configure, customize, and extend. Besides, it's a trifle for JW Player to play 360 degree videos, as well as xbox 360 games walkthrough served as an awesome xbox 360 media player. Our Total Cinema 360° Web Player lets you experience and play 360° videos on the web from both desktop and mobile browsers. Built with HTML5 and WebGL, the 360 Web video Player operates seamlessly on Chrome, Firefox, and Safari on Windows, Mac, iOS and Android. 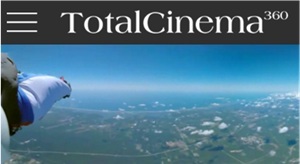 But it's a pity that Total Cinema 360° only have access of its official site contents. 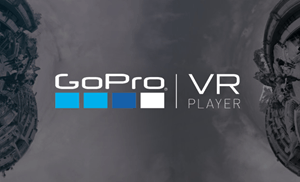 Kolor GoPro VR player is placed sixth in our best 360 video players list. It is compatible with Windows, Mac, and Linux computers, on which you can play 360°action videos, without an internet connection. With a lightweight interface, the player allows you to play 360 degree videos at the cost of the least effort, by simply loading the VR files and opening the very basic controls. An added value for the tool is you can adjust the general settings, video encoding, controllers, and more before playing 360° spherical videos. Where and How to Get 360 Degree Video Contents? As we can see above, though 360 video players are ready to play 360 videos. But where and how can we get 360 degree videos? You can certainly record your own 360 degree videos with the cameras, while getting 360 video download is also a decent idea, since both YouTube and Facebook nowadays are set to be the cradle of 360-degree VR videos. MacX Video Converter Pro makes the downloads a simple task. It allows you to download 360 degree videos hassle-free since it's an outstanding 360 VR video downloader, allows all kinds of video download including YouTube 360° videos, 4K UHD, 1080P/720P videos and so on. 1 Free download the 360 video downloader for Mac or Windows version for PCs and launch it. Click "YouTube" >> "Add Link" >> "paste & analyze" to detect the 360 video URL copied from YouTube. 2 Choose the output format, resolution, size etc. 3 Specify the output folder path to save the downloaded 360 video. 4 Hit "Download" button to start 360 degree VR video download. Note: This 360 degree video downloader Mac also owns outstanding editing features like compress video size, trim video to several video clips, crop unwanted areas, merge multiple videos into a new one, add watermark to 360 vr video and more. Thus, after shooting 360 degree video with Samsung Gear 360 VR camera or other cameras, you also can edit your personalized 360 degree video for uploading to YouTube etc. Additional: How to Watch 360 Degree Videos? However, though there are a lot of 360 degree videos available on the internet today, not everyone has tried or already experienced to watch 360º videos. So, after we proceed to the top 5 360º players, let's check how to watch 360 VR video in a simple and easy way as possible. 1. To start with, a normal windows MAC or PC or a smart phone is needed. 2. For you to hear the sounds of the movie you are watching, you need to have a 360 VR headset depending on what effect you want to best achieve. 3. Choose a 360 degree video player where you can have the movie. 4. 360 degree movie or game- downloads like 360 VR videos from 360 video sites also. 5. Once you have downloaded the 360 video, you can now find a place where you can choose to watch the movie. 6. Just put your VR headset, start playing the 360 VR video you download using also your best 360 video player on your smartphone, PC/ MAC. But before you start, make sure not to forget to put your own earphones on for you to experience the best virtual reality sound and view you want for.